The Obama administration’s proposal to modify the National Security Agency’s bulk telephone records spying program is a political fraud. Far from curtailing the NSA’s activities, the administration is seeking to expand the amount of data to which the spy agency has access, while obtaining a legislative imprimatur for the illegal and unconstitutional activities of the American government. Details of the White House plan have not been released, but the basic outline is clear. Instead of phone record data being stored on the NSA’s own servers, the information will be retained by the telecommunications companies, which will be required by law to make it available on demand, in standardized form and on a continuously updated basis. Phone companies will retain call records for 18 months, which the NSA and White House deem sufficient for their purposes. Requests for data by the NSA will be approved by the secretive Foreign Intelligence Surveillance Court (FISC), a rubber-stamp body that routinely grants spy agency requests. The NSA will be given access to the data of anyone who is two degrees of separation (or “hops”) from a target, while “targets” will be defined in extremely broad language. Perhaps the most significant component of the proposal is one that has been buried in the media coverage. The new legislation will reportedly require telecommunications companies to give the NSA access to cell phone records, a central preoccupation of the spy agency. US officials disclosed in February that only about 30 percent of all call records are available to the NSA because of the widespread use of cell phones, which have up to now not been part of the information handed over to the government. In the end, the NSA will get access to even more data, and it will do so in even closer daily collaboration with the giant companies that exercise a virtual monopoly over the US phone networks. That the proposed “reform” has been drafted by and for the military-intelligence apparatus is clear from the figures who are backing it. The White House is working closely with the Republican and Democratic leaders of the House Intelligence Committee, Mike Rogers and Dutch Ruppersberger, both of whom have hysterically denounced Edward Snowden and journalists who have published his revelations for exposing the truth to the American people. The call to “end the bulk data program” has also been endorsed by outgoing NSA head General Keith Alexander, Republican House Speaker John Boehner and Democratic Senate Intelligence Committee Chair Dianne Feinstein. The sham “reform” announced this week is the outcome of an extended political process. 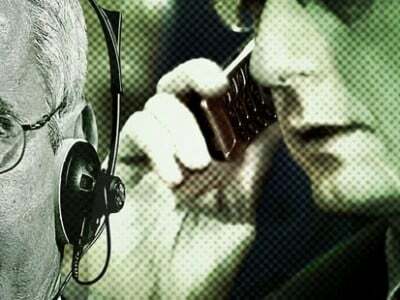 Snowden’s leaks, which began last spring, have revealed a vast police state spying apparatus that operates outside of all legal and constitutional constraints, creating a serious crisis for the government. Snowden has exposed not only the phone records program, but the seizure and monitoring of emails, text messages, internet chats and a vast array of other information in the United States and countries throughout the world. The US has engaged in international cyber espionage and cyber warfare and targeted foreign leaders. The NSA has collaborated with its partners in other countries to tap into the Internet backbone and access virtually all online communications and activities. It has worked systematically to break encryption methods, while installing malware on targeted computers all over the world. Top administration figures, including the president and the heads of the various spy agencies, are implicated in impeachable and prosecutable offenses, including the systematic violation of the Fourth Amendment prohibition against unreasonable searches and seizures. Government officials, including Director of National Intelligence James Clapper, have been exposed as perjurers. The revelations have generated enormous popular opposition—a fact to which Obama alluded Tuesday when he spoke of the “skepticism” of the American people toward the intelligence apparatus. The exposure of a totalitarian spying network has severely undermined the legitimacy of the state. In response, the Obama administration and intelligence agencies have pursued a multi-track strategy. They launched a vicious campaign against Snowden, who committed the unpardonable sin of revealing government criminality. The administration defended the legality of the spy programs, lied shamelessly about what the government was doing, and worked with the media to bury the most significant revelations. At the same time, the White House has sought to counter popular sentiment by calling for fig-leaf reform measures drawn up in close consultation with the NSA itself. A significant political aim of the NSA “reforms” now being prepared is to establish a bipartisan consensus in Congress, bringing together the White House and Republicans with Democrats who have postured as critics of the spy programs (such as Senator Ron Wyden, who declared Obama’s proposal “exciting news for the constitutional rights of the American people.”) The illegal programs are to be codified in laws passed by Congress, further entrenching and institutionalizing them, while providing cover for those guilty of criminal offenses. Continuing popular opposition will be treated as illegitimate and criminalized. In Snowden’s case, one is dealing not with political duplicity, but a lack of understanding of the social and political forces that are driving the police state measures that he has courageously exposed. However, illusions about the character of Obama’s proposals are highly dangerous, for the working class and for Snowden personally. The administration’s “reforms” are entirely compatible with an intensification of the vendetta against the NSA whistle-blower. The entire process that began with the initial Snowden revelations nearly 10 months ago has confirmed that there does not exist a significant constituency within any section of the political establishment for the defense of democratic rights. This is because the erection of the apparatus of a police state is rooted in the immense growth of social inequality and the determination of the corporate and financial aristocracy to pursue a deeply unpopular policy of endless war abroad and social counterrevolution at home. A real turning point in the defense of democratic rights will come not from the actions of Obama, the intelligence-agent-in-chief, but through the independent political mobilization of the American and international working class against the capitalist system.